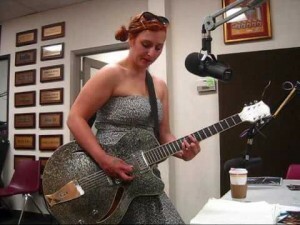 You want the best in underground country and bluegrass. Smooth & Demented has you covered! 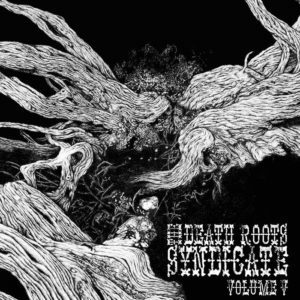 This is a fantastic show that features Death Roots Syndicate compilation album …Death Roots V! Death Roots V features music from Blackgrass Gospel, Jim Strange, Black Claw, Sons of Perdition, Slackeye Slim, Roberto LeBlanc and more! 2hrs of commercial free radio from KAOS! Do you like what ya hear? Check out Death Roots Syndicate records and download Death Roots V! Name yer price! All 23 tracks! The late Mr. Price co-hosts with El Demento for a ghoulish Halloween show! 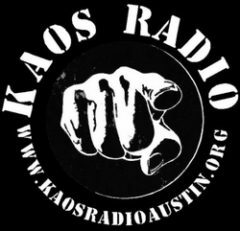 It is the master of horror for a great Halloween show on KAOS Radio Austin! All the underground you know and love…and in the second half of the program…lost jukebox songs from the 50’s-70’s! Psychedelic, surf, do-wop and rockabilly songs of Halloween! This Smooth & Demneted Show is a doozy! All the best underground country and folk music! El Demento gives a crass, expletives soaked tirade against Donald Trump and Demento also gives an impassioned call for a more humane and healthy society where we take our nation’s health care seriously! Why would he give such an impassioned call? Because we need healthy musicians to make our world a better place! Donate to the Izzy Cox Cancer Fund by clicking here! 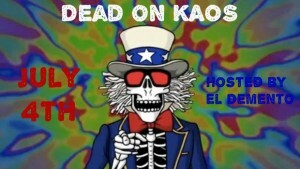 Dead on KAOS-July 4th Hippie Special! KAOS is red, white and dead! Two live Grateful Dead shows from July 4th! El Demento brings the Sousa and the Dead! July 4th Dead shows from Buffalo , NY 1989 and Willie Nelsons Picnic 2003! download part 1 and part 2! Country Willie Edwards is one of the most amazing country singers around! A true cosmic cowboy…Country Willie has hundreds of original songs and is a undiscovered jewel in the Texas songwriting world! KAOS radio and the Smooth & Demented Show was on hand to conduct an impromptu field recording session of his concert at the Hard Luck Lounge in Austin, Texas! 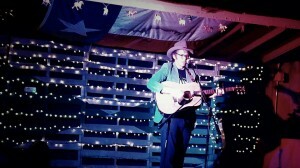 The best of the country/folk music underground in the first half and Country Willie-live in ATX in the second half! Come stream all that underground country music you know you need with the Smooth & Demented Show! Outlaw country, Texas blues and toe tapping bluegrass in the first half of the show….and in the second we have double shots of your favorite classic country artists! It’s a well spent 2hrs of commercial free radio from the heart of Texas! Stream the show on Mixcloud: Click here!